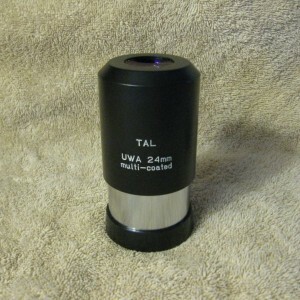 TAL 24mm UWA (80-degree) Sold! This is a Russian-made ultra wide-field eyepiece of the previous generation with more than 80 degrees apparent field of view and multi-coated optics. Condition of coatings, glass, and barrel is excellent with only slight indications of use. Both caps are included, but it should be noted that the top cap is cracked. this eyepiece delivers a comfortable, floating-in-space view, with few of the eye placement issues that plague many wide-field eyepieces. 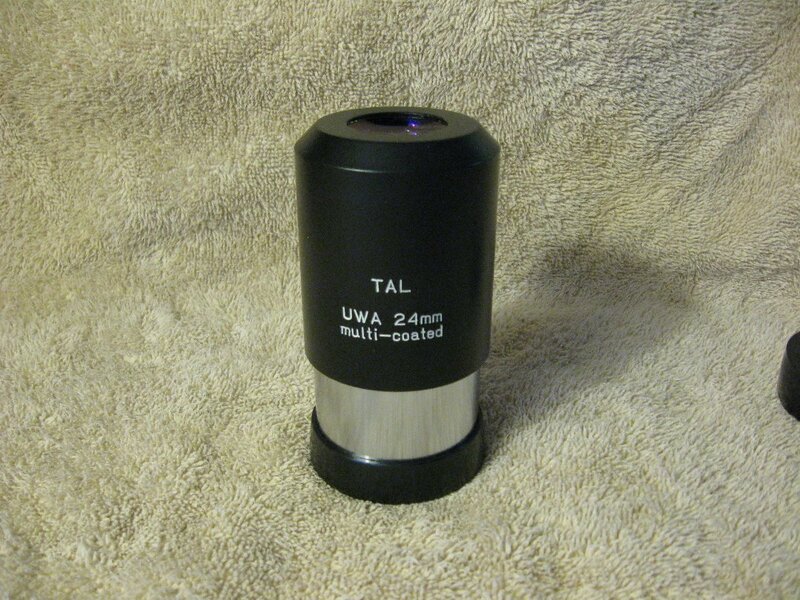 The TAL isn't a ultra-premium optic, but for f/6 and slower scopes it's a sweet piece of glass. $120, shipped to the CONUS. Please add $5 if you live in Alaska or Hawaii, $7 if you live elsewhere in North America, or $15 everywhere else in the world. No charge for Paypal, but I also accept cash and even personal checks (as long as you wait for the check to clear). I will PM you the USPS tracking number when I ship.